Quite simply, Rockies are the highest quality salt licks to be found anywhere on the planet. 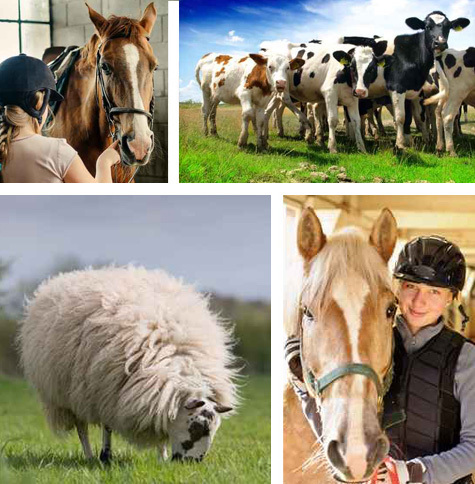 We have been making the Rockies range of products for 80 years, and no one knows more about the value of salt licks as a cost-effective way to improve equine and livestock health and performance. All animals need salt – that’s understood. What isn’t so well understood is that the purer the salt, the greater its appeal – and the greater its benefits to animals. Many salt licks on the market contain high levels of chemical impurity. For example, it’s not unknown to find cement used as a binding agent. By contrast, Rockies are 99.9 per cent pure salt – better even than most table or kitchen salts. Independent tests prove repeatedly that when given a choice, animals do prefer Rockies. Rockies salt licks encourage higher intakes for better overall health and Productivity. 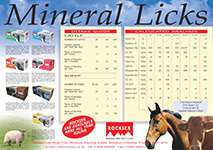 Click to view the mineral licks calculated analysis and intake guide. Tithebarn, manufacturer of Rockies, has been a specialist developer, manufacturer and global distributor of livestock feed supplements and salt licks since 1935. Top quality products, expertise and service combine to maximise animal health and farm productivity.